It’s National BLT month people! Do you guys love or hate all these food holidays? I kind of love them since it gives me more reasons to make chocolate cake, doughnuts, grilled cheese and more. As if I need more excuses, right? 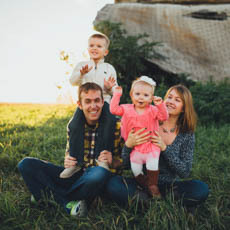 Hopefully they don’t drive you guys crazy because they are here to stay ya’ll. I knew we needed to celebrate the BLT right and I wanted to create a fun twist to liven it up a bit. Don’t get me wrong, there’s nothing wrong with a traditional BLT but why not trash it up a bit with some of our other favorite sandwich items? I love putting a traditional sandwich on a bagel so that was a good start on the BLT improvement plan. I of course had to use a homemade everything bagel that I shared last week. You know what else makes a sandwich better? Avocado. Plus it’s good for you so that will totally negate the extra bread from the bagel and ALL the bacon. Right? Say it with me, RIGHT. Another sandwich favorite for me right now is a drippy, gooey egg. It is a bagel sandwich so it’s kind of necessary if you ask me. Lastly, a bagel isn’t a bagel without cream cheese in my opinion so I smeared some of that on there too. 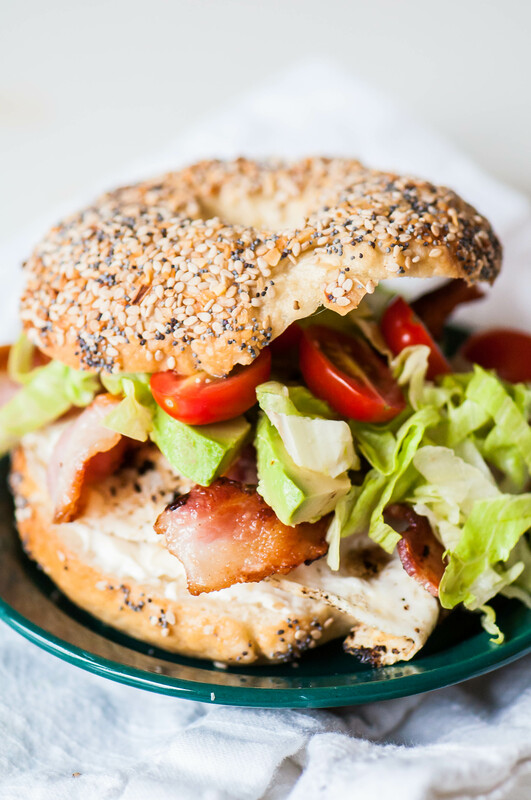 It all combines to create this tasty concoction I’m calling the BLT Bagel Sandwich. I mean, look at it. It’s totally loaded and was quite messy to eat. If you feed it to children sit back and prepare to be entertained. Well, until it turns ugly because they aren’t actually getting any food in their mouth and they are getting hangry. It hits all the delicious flavors and textures we crave in food. Chewy, salty, creamy, crunchy, smoky and fresh. Plus, it’s a sandwich. A sandwich is always the answer. In a skillet over medium heat, cook the bacon until crisp. Remove to a paper towel lined plate. Remove all but 1 tablespoon of bacon grease from the pan. Cook eggs in pan in desired fashion (we like ours over easy). Spread desired amount of cream cheese on the bottom half of the bagel. Top with egg, 2 bacon slices, 1/4 avocado, 1/4 cup lettuce and tomato slices. Place top on bagel sandwich and cut in half.